PARIS, France, January 16, 2013/ — Orange (http://www.orange.com) has launched a new subsidiary called Orange Horizons that aims to seek out new business opportunities in countries where the Group is not already present as a mass-market telecommunications provider. These projects, which will leverage the global reputation of the Orange brand and existing Group assets, aim to provide a new source of revenue for the Group and improve customer loyalty across its footprint without the need for significant investment. Such projects could include the launch of online stores selling telecoms-related equipment or airtime; the introduction of flexible travel solutions; or the launch of a virtual mobile operator (MVNO) activity. The first of these projects has already been launched in South Africa under the Orange Horizons banner. This comprises two websites: firstly an e-commerce website, http://store.orange.com/za, has been launched to sell telecoms-related devices and accessories. This is combined with a country website, www.orange.com/za, which provides online content specifically tailored for a South African audience including news feeds, sports news and audiovisual content. The launch of these services coincides with the start of the Orange Africa Cup of Nations, SOUTH AFRICA 2013 pan-African football tournament in which six countries in which Orange is already present(1) will be playing. To increase interest and visibility, South African residents connecting to www.orange.com/za will be able to enter a contest to win tickets to several matches, including the final. A similar e-commerce initiative has also been opened in Italy (http://store.orange.com/it), where the brand already enjoys a strong reputation. These two existing online stores already offer state-of-the-art telecoms and electronic equipment, and will soon also offer a variety of telecoms services including airtime for Orange customers visiting from other countries. The Group’s footprint currently covers around 10% of the world’s population, leaving 6.2 billion people who could potentially become customers through Orange Horizons activities! The Group plans to launch business ventures in several other countries in 2013 in Europe and Africa, and will also look at opportunities in South America in order to leverage existing content-related assets such as starMedia (a South American internet portal) for example. finally, the launch of a virtual mobile operator (MVNO) activity is also a possibility in certain countries. Orange Horizons aims to provide a new source of revenue for the Group, while improving its global visibility and reputation outside its traditional footprint. Many of these projects will also help improve customer loyalty in countries in which Orange is already present. To achieve this, Orange Horizons aims to leverage the power of the Orange brand as well as the Group’s considerable assets as one of the world’s leading telecoms providers. The Orange brand, which is ranked among the top 50 global brands in 2012 according to the annual Millward Brown “BrandZ” survey, is already widely known across the world. The brand is particularly well known for mobile, fixed and internet services in Europe, Africa and the Middle East, and globally through the B2B services delivered by Orange Business Services. This reputation has been reinforced in recent years through major pan-continental sponsorship deals such as the Euro 2012 and the Orange Africa Cup of Nations football tournaments. Orange Horizons aims to harness the untapped market potential within these "Orange influence zones" and translate it into business opportunities. In addition to the brand, the Group enjoys considerable assets that will enable it to launch specific business projects outside its footprint without any need for significant investments. These assets include the Group’s global buying power for telecoms devices and accessories; its expertise in setting up shops or online stores; as well as its R&D and marketing know-how. This will enable it to focus projects on specific zones of influence based on partnerships with content providers, sponsorship activities and the flow of Orange customers travelling between countries. (1) Côte d’Ivoire, Mali, Morocco, Niger, Tunisia and the Democratic Republic of the Congo. Distributed by the African Press Organization on behalf of France Télécom-Orange. France Telecom-Orange (http://www.orange.com) is one of the world’s leading telecommunications operators with sales of 45.3 billion euros for 2011 and has 170,000 employees worldwide at 30 September 2012, including 105,000 employees in France. Present in 32 countries, the Group has a total customer base of 227 million customers at 30 September 2012, including 169 million mobile customers and 15 million broadband internet (ADSL, fibre) customers worldwide. 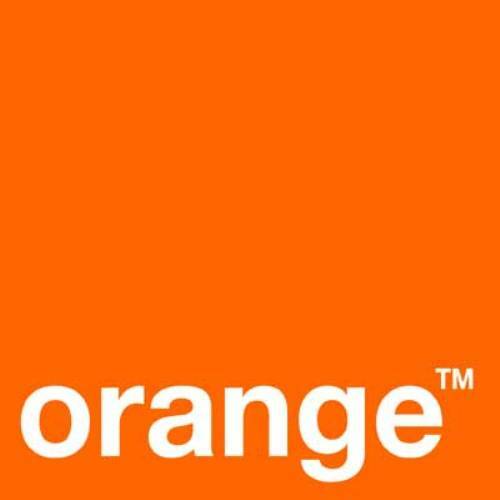 Orange is one of the main European operators for mobile and broadband internet services and, under the brand Orange Business Services, is one of the world leaders in providing telecommunication services to multinational companies. With its industrial project, "conquests 2015", Orange is simultaneously addressing its employees, customers and shareholders, as well as the society in which the company operates, through a concrete set of action plans. These commitments are expressed through a new vision of human resources for employees; through the deployment of a network infrastructure upon which the Group will build its future growth; through the Group’s ambition to offer a superior customer experience thanks in particular to improved quality of service; and through the acceleration of international development.